Due to the number of natural disasters that occurred in Queensland this year, many companies found inconsistencies in their occupational health and safety policies. A Survey conducted by ComOps has indicated that more than three quarters of the companies in Queensland are considering having their risk management evaluate their current OHS policies. The survey involved 65 individuals and involved risk management staff and senior executives. 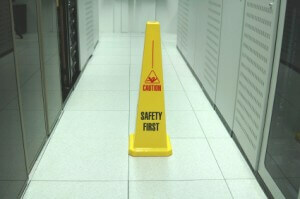 Since many companies have found inconsistencies in their policies, safety has become a number one priority for some. More than a fifth of managers have decided to invest more resources into occupational health and safety risks. However, important obstacles were noted in dealing with OHS. Some complained about the high cost of investment into OHS, while others claim that OHS simply is not a high enough priority currently. Despite this, the survey has indicated that recent natural disasters have risen awareness of OHS and the need to evaluate its current status. If a policy overhaul is completed, then Queensland might have the proper tools in dealing with a potential disaster.